(OPride)―On this festive yet somber occasion, the Oromo are out in great numbers, as colorful and vibrant as ever. It’s Irreecha, the “thanksgiving holiday,” as was described by a host of foreign media outlets in the wake of the disaster that left hundreds dead last year. 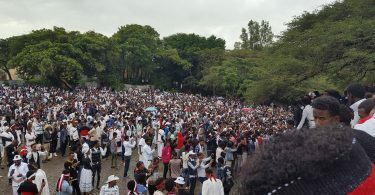 With the grievances that led to the tipping of the vase last year left unaddressed, justice long sought over the massacre still a pipe dream, with countless remaining behind bars, the Oromo people are back in Bishoftu having unanimously declared that the show must go on. The unbearable, unimaginable sorrow and pain emanating from the tragedy is obviously still very ripe a year later. 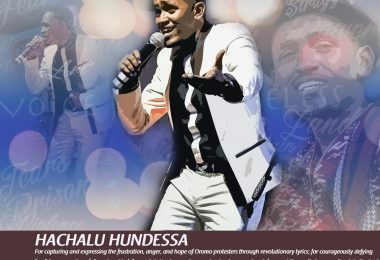 Despite the entire 2016 being a year of bloodshed and mourning across Oromia, Irreechaa 2016 was supposed to be a joyous breath of fresh air, a therapeutical healing opportunity. 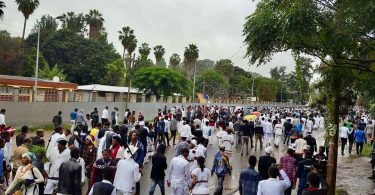 Above all, it would serve as a much needed, albeit brief opportunity to escape unmistakable sounds that had become all too familiar to the Oromo last year: the ricocheting of bullets and the wailing of relatives bent over the profusely bleeding body of a loved one, gunned down in the street. Tragically this was not to be. In a cruel twist of fate, the sanctity of the occasion wouldn’t protect the Irreecha venue from Ethiopia’s trigger happy federal security forces. 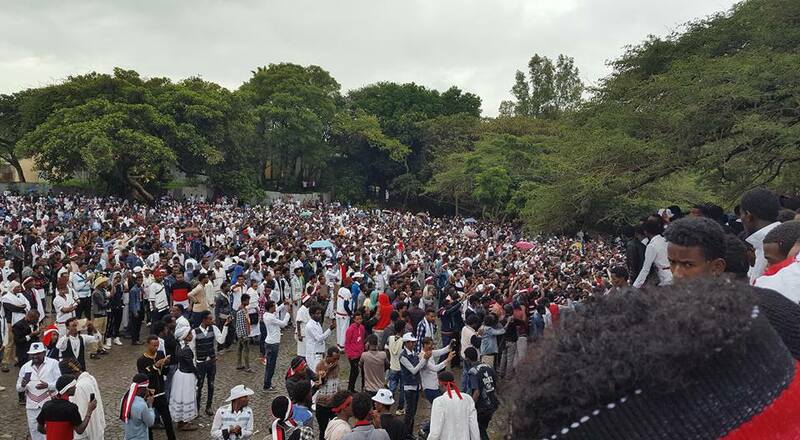 With the tens of thousands in Bishoftu present for the festivities high on the revolutionary spirit of the 2015-16 Oromo protests movement, open expressions of solidarity were rampant throughout the city. This meant the authoritarian regime would virtually militarize the city as army brigades were mobilized to Bishoftu to put down anything they deemed to be a display of disobedience. They ended up doing exactly that. 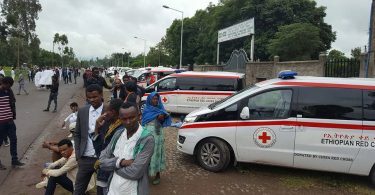 The Oromo victims of last year’s massacre and the Ethiopian people in general cannot have moved on. And how would one put behind a tragedy of that magnitude without an ounce of closure? 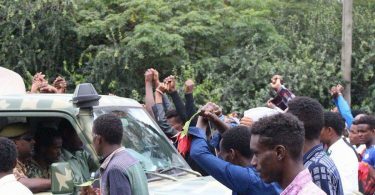 Instead of diverting resources to aiding the mourning masses, the state has gone to great lengths to minimize its role in instigating the massacre. It has gone as far as erecting a statue nearby, a proclamation that the fallen victims of the “accident” must never be forgotten. Let alone fully recognize what brought upon one of the darkest days in recent memory, the token monument doesn’t even put a number for the total victims. Hand a tourist a translation of the message it bears, and that outsider might assume it was written in honor of the victims of a tragic car accident nearby. No attempt to console, an expensive, artsy attempt at shifting the blame from the elite and cleaning up after those who created the mess. 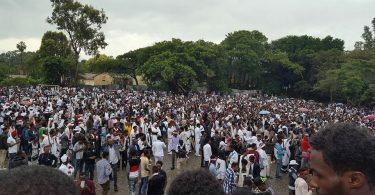 After a century of the country’s monarchical institutions belittling and demeaning Irreecha, portraying the event as a Satanic ritual, outright banning the event, gathering and partaking in the Irreecha festivities has become an open declaration that the Oromo, with all their uniqueness, will no longer be inclined to bow their heads in shame. The effects of a century of institutional shaming no longer bear any effect. 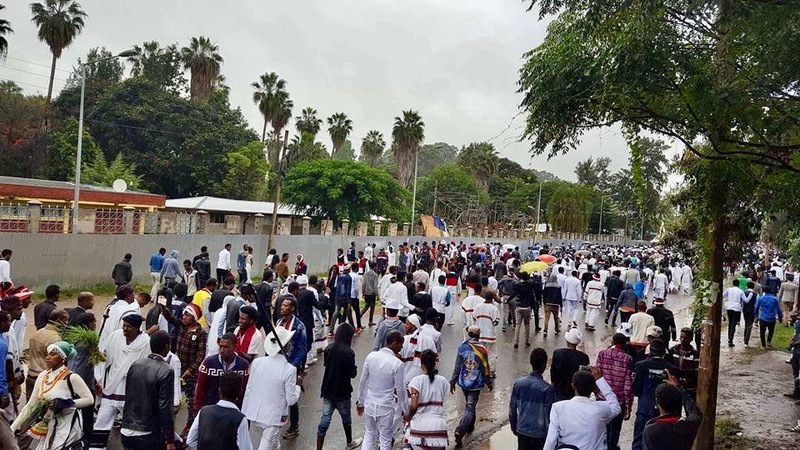 Vibrant, unapologetic and very much alive, making the annual Irreecha festival pilgrimage is tantamount to shouting out to the heavens that the Oromo are here to stay and have no plans to back out and surrender political gains that have come at the cost of the lives of loved ones. 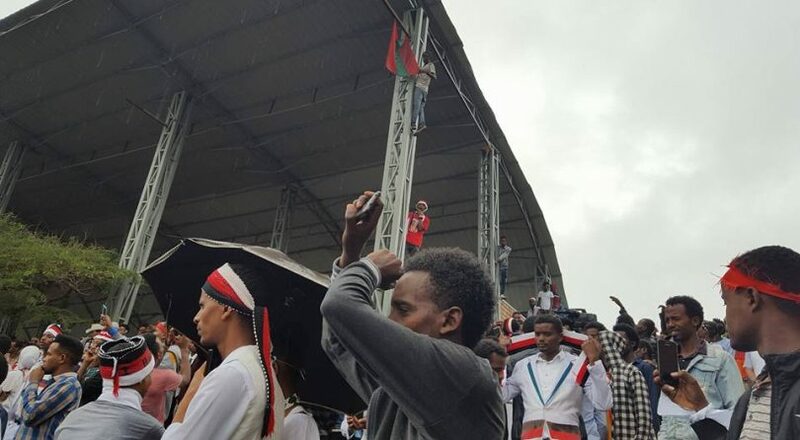 This appears to be why the Oromo have congregated in Bishoftu today. The majority of Oromos profess belief in Christianity and Islam. 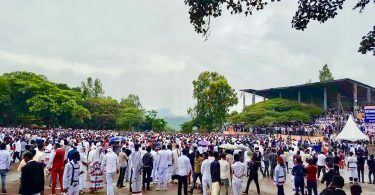 The ancient Waaqeffannaa faith of which the Irreecha celebration is deeply rooted in, doesn’t have a mass following among Oromos today. 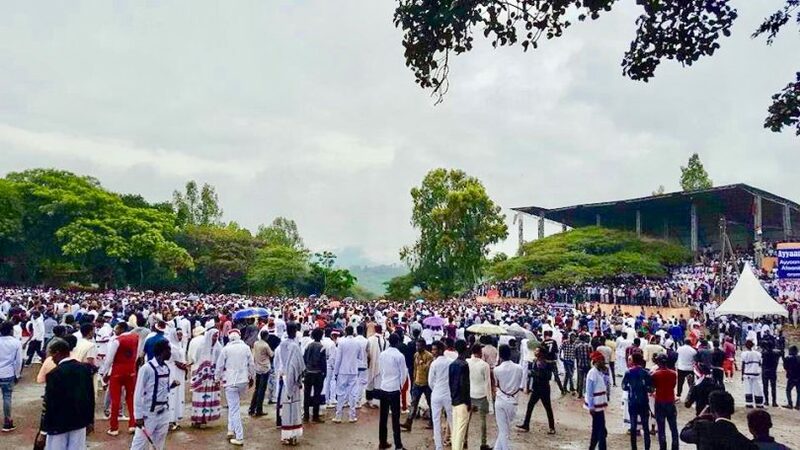 However, belonging to an Abrahamic faith doesn’t separate one from his/her Oromo lineage, and to ensure the flame of their identity burns fervently, Oromos go to great lengths to honor the indigenous practices of their ancestors. 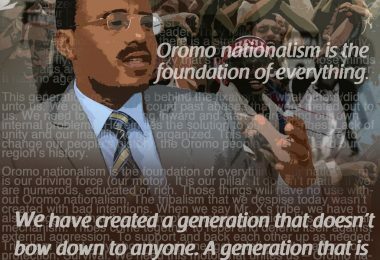 It’s a undying dedication to all things Oromo. So despite the fresh wounds and sores from 12 months ago, to back out of attending this event might be deemed betraying fallen martyrs. It is what has pushed the likes of Abdisa Borena, who lost his newly wedded wife Sifan Legesse in the disaster last year, to make the trip to Bishoftu unaccompanied this year. 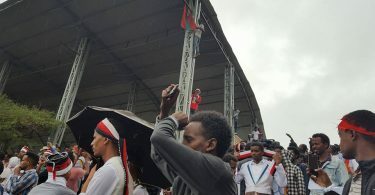 Those who were killed throughout the year, shot at while screaming slogans at the top of their lungs, arms crossed, or those who died in a hail of bullets, bodies piled atop each other, did so after swearing an oath of loyalty to the Oromo nation. It would be immoral to subsequently demote the importance of October 1. 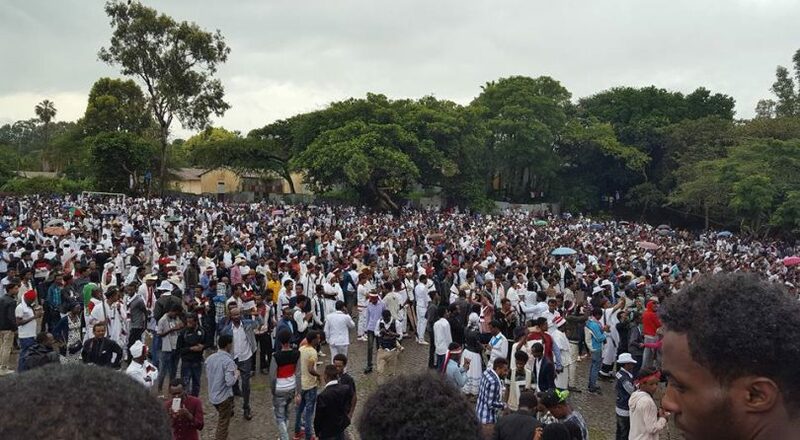 One cannot simply let this year’s Irreecha celebrations pass without recognizing the courage, the resolute firmness, the loyalty and love exhibited by those in Bishoftu today. 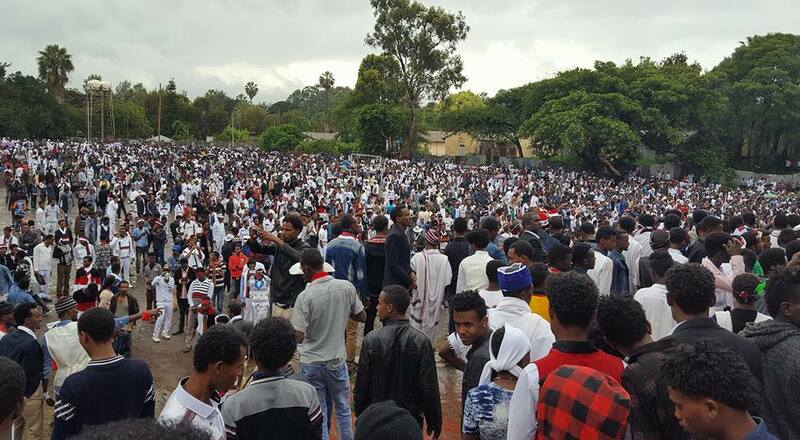 After the horrors of a year ago, the dedication to the cause and a conscious desire by those who have sacrificed and continue to sacrifice means that tens of thousands, perhaps hundreds of thousands, heavy hearts, simmering resent and anger, stand heads held high, lakeside in Bishoftu. Defiance and love in the same setting. Happy Irreecha 2017 to the peoples of Oromia, Ethiopia.